There are so many ways to enhance your home technology, so why not add smart garage door openers to the mix?! Never again will you have to wonder if you remembered to close the garage door! Instead, you can simplify your life by being able to exercise control over your garage door from anywhere at any time. Not only will you never again find yourself wondering if you remembered to close the garage door, you’ll also have more control over who enters your home, added security and the ability to enjoy simplifying this aspect of your life. There are a lot of smart garage door openers on the market, and we’ve taken a deeper dive into three that we recommend. This smart garage door opener is made by Genie, a company that has made millions of quality garage door openers since 1954. 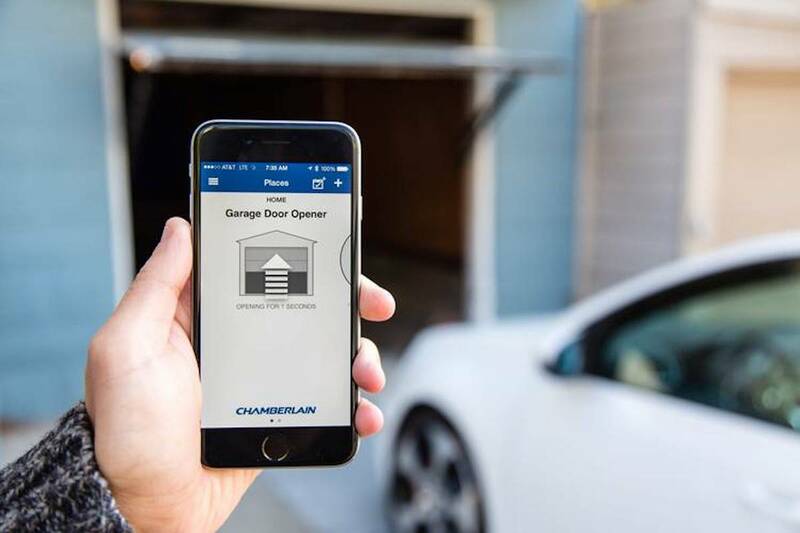 Using their Aladdin Connect® Integrated WiFi connectivity technology, you can use the time-based feature to automatically open/close your garage door at a specific time, as well as set up multiple users to have virtual key access to your garage door. You can also open your garage door from anywhere using your smart device, and the tracking function will let you know the date and time of each operation of your garage door. This smart garage door opener is designed to optimize space with Liftmaster’s most advanced wall-mount. The MyQ® Technology enables compatibility with multiple home automation platforms and the built-in WiFi allows you to receive alerts and control your garage door from anywhere using the app. You can also program your garage to automatically close after a preset amount of time, and the automatic deadbolt lock makes this garage door virtually impenetrable. And in the event of a power outage, the integrated battery backup will ensure your opener still works. This smart garage door opener has many of the same features as the Liftmaster 8500, with the main distinction being that it is a ceiling mount instead of a wall mount. Both the 8500 and 8550 also come with Smart Control Panels® and a 3-button remote control that can be used in addition to the MyQ® smart device control through the app. You can also receive real-time alerts via email or push notifications. If you’re ready to choose your smart garage door opener, our team can help answer any questions you may have, as well as assist with the installment if needed. Of course, if you have any other garage door questions, we’re always happy to help answer them!